How's everyone doing out there? I just wanted to say hi and tell everyone that I'm recovering nicely from my ACL surgery. Doctor Cooley told me to keep weight off of it and keep it iced until I go back in tomorrow. Therefore, I'm slowly going insane. I remember coming home Friday, woozy and giddy from drugs, thinking this was gonna be the best few days in history. Being forced to sit around and do nothing but read, write, and watch TV. Yeah, that was fun for maybe a day. Or two. Now I'd like to saw my leg off and go hop around outside, going all Jackson Pollack on the snow till I bleed to death. Okay, that was kinda gross. And just to be certain, I'm kidding. But I'm so anxious to get up and move around that my brain has quit working properly. Modern medicine amazes me. Did you know they took one of my hamstrings and used it to rebuild my ACL, all by barely cutting me open and sending me home just a couple hours after it was complete? I really hope it works! I miss basketball and skiing. Having said all that, I've had no problem keeping a proper perspective with all the terrible things that have happened in Haiti. What a tragedy. However, it always amazes me the stories of hope and unity that come out of such things. Some inspiring stuff on the news lately. I hope everyone is finding a way to give what they can to help down there. I haven't made much progress on THE DEATH CURE (Book 3 of THE MAZE RUNNER). I don't know why, but it's just hard to feel creative in this situation. I expect to get back on it in a big way very soon. On Saturday, February 6, I'll be signing with a bunch of other authors at the Barnes and Noble in Sandy Utah (by Southtown Mall). It begins at 1:00 pm. On February 11-13, I'll be at the BYU event called Life, the Universe, and Everything (LTUE), a three day conference that is absolutely FREE. It's a science fiction and fantasy symposium, but many of the panels and workshops focus on writing. Brandon Sanderson is the Guest of Honor and will be giving the keynote address. I'm on quite a few panels and will also be doing a signing (Friday at noon) and reading (Saturday at 3:00, at which I will be reading the first chapter or two of THE SCORCH TRIALS, sequel to MAZE). For details on LTUE, please CLICK HERE. I'm still planning on doing a giveaway of the new book, THE DARK DIVINE by Bree Despain, very soon. Stay tuned. Finally, I still haven't been given word that I can officially announce this, but you might find something at the end of this article in VARIETY magazine interesting: CLICK HERE. Good morning, world. Before we get to the updates, I want to tell you guys about an event coming up this Wednesday (the 13th). I'll be a guest at Weber State University, doing a lecture for students at 12:30 and then speaking at 6:30 that evening (which is open to the public). Please note the use of the word "lecture." That was their word, not mine. And I think it's pretty cool. I'd like for all of you to call me Professor Dashner from now on. Details: The event takes place in Ballroom C of the Union Building. And it's free (I just heard a lot of people perk up). Here is a link to the campus map if you're interested: CLICK HERE. I promise I won't bore you. There'll be plenty of funny pictures and lame jokes. And you'll get to hear the magnificently fascinating story of how I got published and how I write books (wait, I just heard a lot of people perk down! Stop that!). Please feel free to bring my books if you have them and I'm sure I can sign afterward. Hope to see some of you! 1. 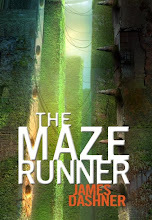 I'm starting to feel the rhythm of THE DEATH CURE (Book 3 of THE MAZE RUNNER). I've only written about 2,000 words, but I've done a lot of thinking and brainstorming. It's been basically mapped out for a long time, and my agent and editor have really helped refine and improve the story. We want to make sure you guys aren't disappointed after investing time and money in a whole trilogy!!! 3. I hope very soon I'll be able to show you the covers for THE SCORCH TRIALS (Book 2 of MAZE, Oct 2010) and THE BLADE OF SHATTERED HOPE (Book 3 of THE 13TH REALITY, April 2010). 4. If you're new here and confused by the fact I have two series going on at once, please read the last few posts and I think you'll get caught up. But I hope you guys will go check out the recently released paperback of Book 1, THE JOURNAL OF CURIOUS LETTERS. You'll like it, I promise! CLICK HERE. 5. My family is going to San Diego in three days, planning to hit Sea World and Lego Land, other stuff. Any suggestions? My kids are so ridiculously excited, I fear they're going to suffer major anticlimacticicism. Hope not. If they do, I'll just beat them over the head with my many-kids-in-the-world-are-far-less-fortunate-than-you speech. 6. Did anyone catch that Cardinals-Packers game? Holy cow. Glad I did. 7. My friend and fellow author and agent sibling recently put up an interview with me on her blog. Joelle Anthony's book, RESTORING HARMONY, comes out this spring from Putnam. To read the interview and enter a chance to win my book, CLICK HERE. Thanks, Joelle! 8. I've seen lots of blog giveaways of MAZE out there. To find them, go follow me on Twitter - I always try to retweet when I see them. CLICK HERE to follow me. I'm really sick of all my author friends having more followers than me, so please help a guy out! I'm not that great at Twitter, but I try. Oh I try! 10. I've really enjoyed the comments and the nice words about my book lately. Also, we've received some great questions. I'm collecting them and will do a big Q&A soon. Keep them coming! 11. Let's see how many of you actually made it this far: please leave a comment telling us which book or movie you are most excited about in 2010 (excluding my stuff. haha). Mine: ummmm, too hard. IRONMAN 2 for sure. Ummmmm, third book in HUNGER GAMES. And third book in the SHADOWMARCH series by Tad Williams. Thanks and have a great day!! !